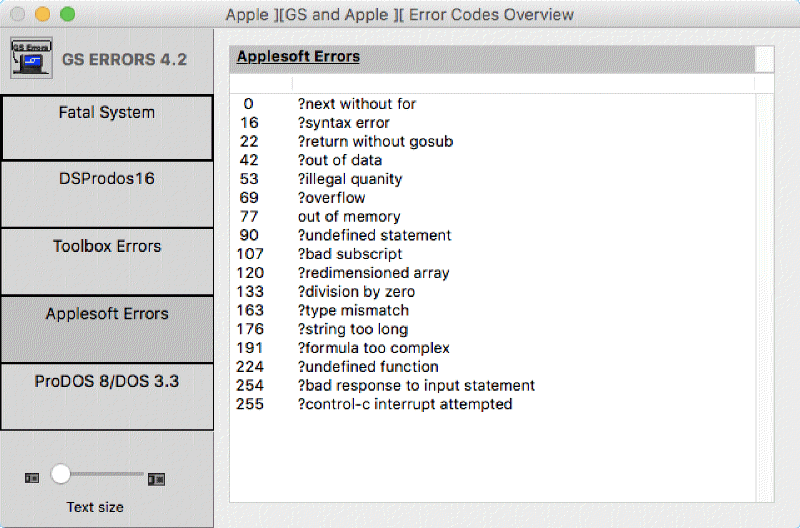 GS Errors X, which is a remake created for OS X of the classic Mac application 'GS Errors' , which lists all Apple IIGS error codes. Previously, the original application was available on the now defunct www.bernie.gs site. "GS Errors X" may be included at any download sites, with no permission required.